The official auction house of the Amelia Island Concours d’Elegance has announced a superb 1961 Ferrari 250 GT SWB Berlinetta and a 58-car private collection once owned by the late Orin Smith, former President and Chief Executive Officer of Starbucks Corporation, as the latest highlights for its sale in March. The addition of the latter, a superlative group of Rolls-Royce, Bentleys and other sporting icons, will see the company’s 19th annual Amelia Island auction extended to two days, with the private collection to be offered during its own dedicated sale session. “I had the great pleasure of knowing Orin Smith and found him to be a true gentleman in every sense of the word,” shares Don Rose, Car Specialist, RM Sotheby’s. “In addition to his impressive gathering of some of the finest Rolls-Royce and Bentley automobiles, Orin displayed an eclectic taste with a keen eye for other icons of style, including sporting machinery from prewar to the best of the contemporary. 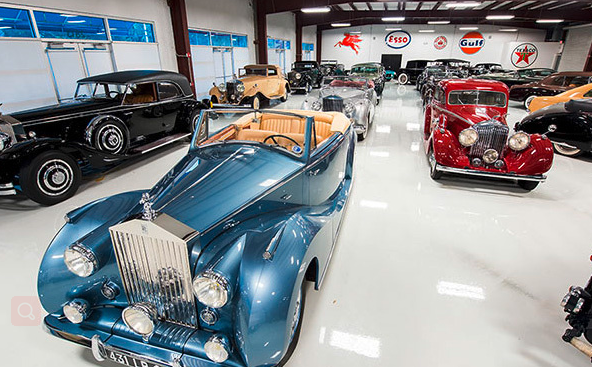 Among the 58-car collection, called ‘A Gentleman’s Collection: The Pride and Passion of Orin Smith’, will be one of the world’s finest groups of coachbuilt Rolls-Royces and Bentleys. In total, 22 vehicles from the two marques will be featured. For those with a predilection for Rolls-Royce, highlights include an authentic 1929 Phantom I Henley Roadster by Brewster, one of only two Henley prototypes built on the Phantom I chassis; an award-winning 1948 Silver Wraith Cabriolet by Franay, complete with streamlined one-off coachwork for French cabaret star “La M?me Moineau”; and the world’s most famous PII Continental, the ex-Raymond Gentile 1934 Phantom II Continental Drophead Sedanca Coupe by Gurney Nutting. For Bentley enthusiasts, the collection contains a show-stopping 1947 Mark VI Cabriolet, one of two bodied by Franay and featuring one-off coachwork commissioned by its original owner, A.J. Liechti; along with a beautifully restored, factory left-hand-drive 1952 R-Type Continental Fastback Sports Saloon by H.J. Mulliner, formerly of the Bud Lyon Collection and complete with factory 4.9 engine upgrade.